The National Disaster Management Authority (NDMA) Friday predicted heavy to very heavy rains at some places in 22 states across the country and advised people take precautionary measures to avoid casualties. The NDMA also warned about the possibility of strong winds with the speed of 25-35 kmph gusting to 45 kmph, hitting over interior Odisha, Chhattisgarh and Jharkhand till Saturday. Heavy to very heavy rains are likely to occur at isolated places in Madhya Pradesh, Chhattisgarh, Odisha, Assam, Meghalaya, Nagaland, Manipur, Mizoram, Tripura, SubHimalayan West Bengal, Sikkim, Jharkhand, west Uttar Pradesh, Uttarakhand, Haryana, Chandigarh, Delhi, Himachal, east Rajasthan, Konkan, Goa, Vidarbha and Telangana, the NDMA said, quoting a bulletin from the India Meteorological Department. The authority advised people to stock first aid kits, torch, bottled drinking water, non-perishable food items and not to allow children to play near water bodies in flood-prone areas. The NDMA also suggested that domestic animals should not be put on leash and people should stay away from sewerage lines, drains and culverts. Over 1,400 people, including 488 in Kerala, have lost their lives due to rains, floods and landslides in 10 states so far in the monsoon season, according to the Home Ministry. 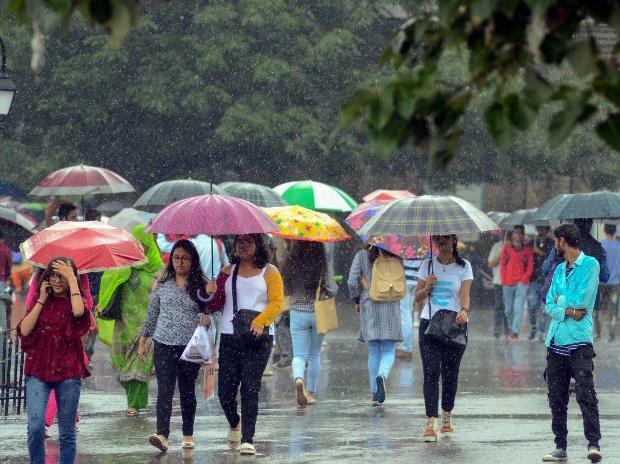 Forty-three people have been missing -- 15 in Kerala, 14 in Uttar Pradesh, five in West Bengal, six in Uttarakhand and three in Karnataka -- while 386 have been injured in rain-related incidents in 10 states.